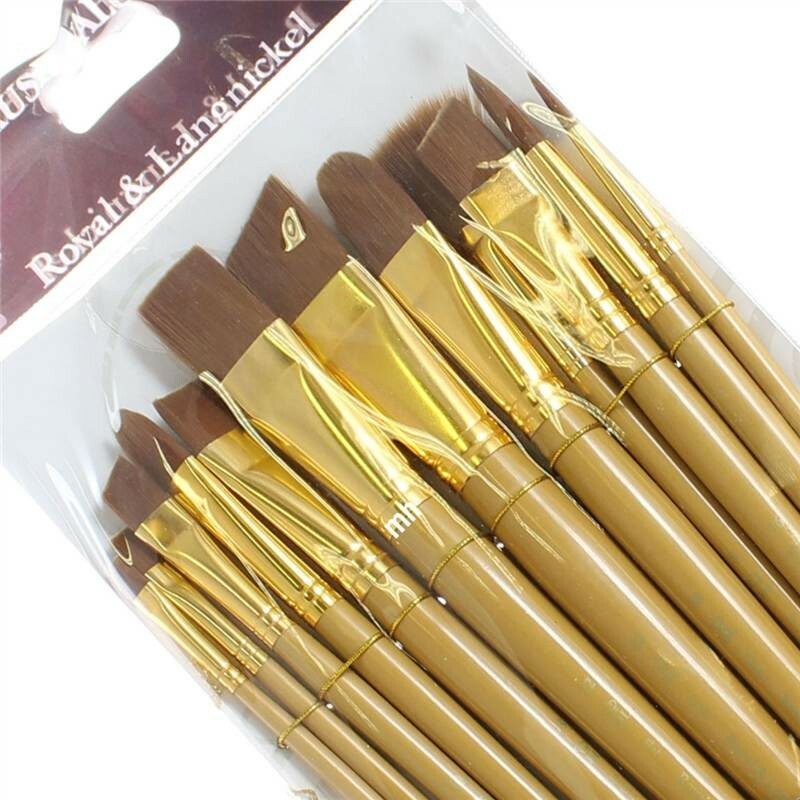 Royal & Langnickel 12 Brush Value Pack RSET-9304 Soft (3 rating) Brown Taklon. Ideal for Watercolour, Acrylic & Tempera. Contains: Bright:18. Flat:2, 6, 22 Round 4, 12. Angle: 10, 16, 24. 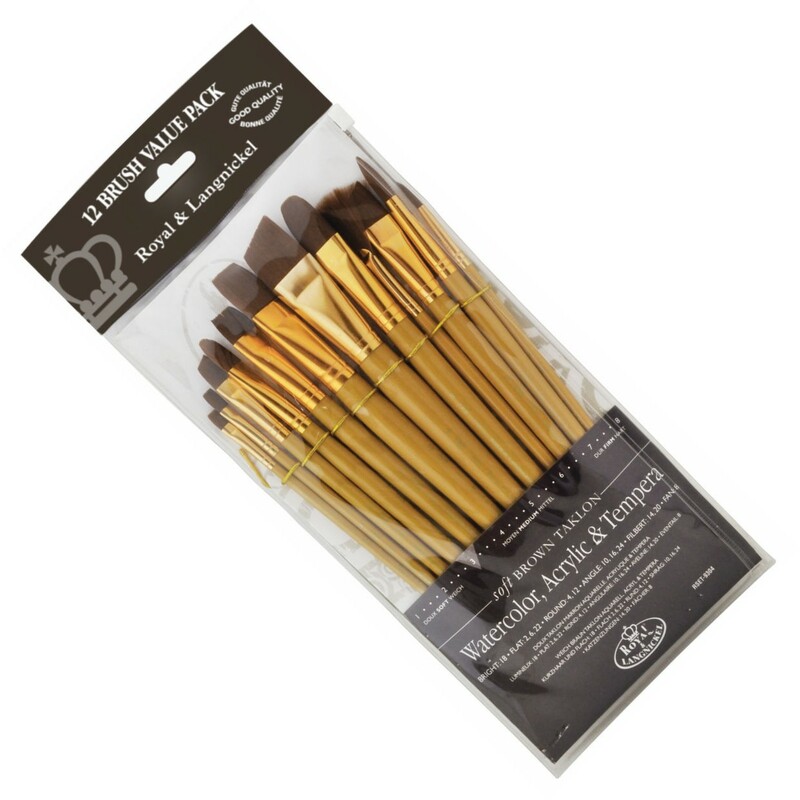 Filbert: 14, 20 Fan: 8 Soft Brushes Have great colour carrying capacity and resilience. 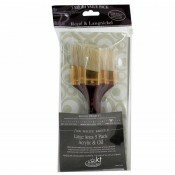 Ideal for paints that spread easily, soft brushes apply colour thinly and evenly. 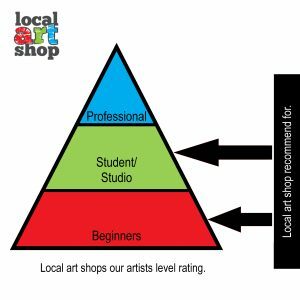 Their ability to form a sharp point makes them ideal for detail work, precision painting and delicate blending. Firm brushes have excellent stiffness, snap and shape retention. 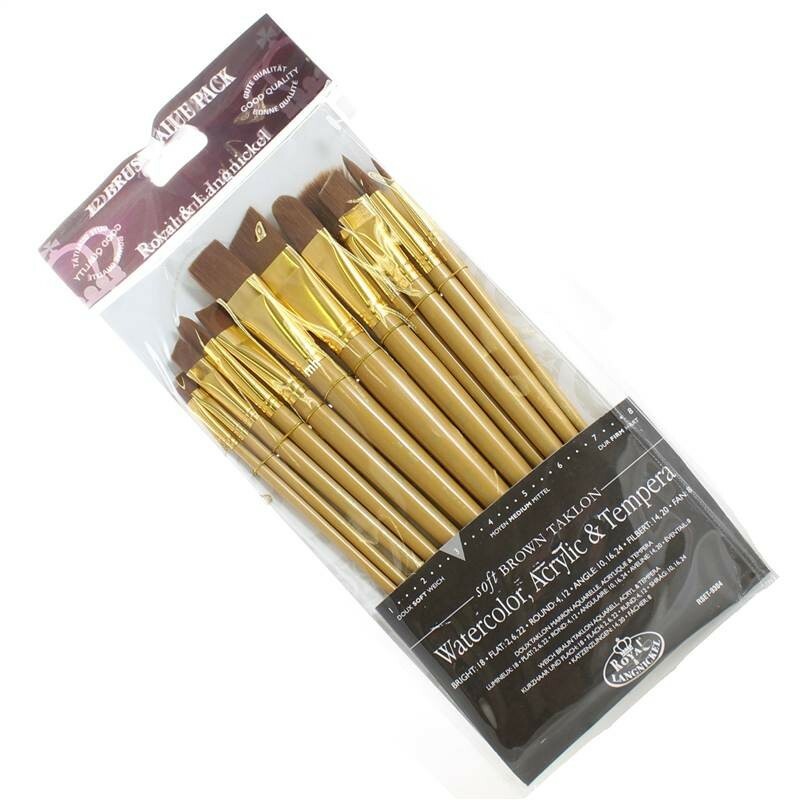 Ideal for applying large areas of colour, they're recommended for use with thicker paint, creating brush marks, or for getting paint into the weave of the canvas.